From T.A. Barron, the New York Times bestselling author of the Merlin Saga, comes a new fantasy world about the origins of Atlantis, perfect for fans of The Lord of the Rings, Eragon, The Beyonders and Percy Jackson and the Olympians. In a magical land called Ellegandia, a young boy named Promi scrapes by, stealing pies, cakes and sweets to survive. But little does he know that his country is a pawn in an ages-old war between good and evil, battled both in the spirit realm and in the human world. Harboring secrets of his own, Promi teams up with a courageous girl named Atlanta and the two vow to save their land—and each other—no matter the cost. But their vow has greater repercussions than they ever could imagine—in fact, it may just bring about the creation of Atlantis, an island cut off from the rest of the world, where magic reigns supreme. With his trademark action, adventure, and poignancy,master of fantasy, T.A. Barron explores a new mythology—the origin of the legendary isle of Atlantis. This book is perfect for fans of Rick Riordan, Brandon Mull, Christopher Paolini and, of course, T. A. Barron’s Merlin Saga. T.A. Barron was a Princeton grad, a Rhodes Scholar, and a highly successful business man before he returned to his true love: books for children. He is the New York Times bestselling author of the Merlin Saga, the Heartlight Saga, Tree Girl, The Hero's Trail, and many picture books. He has also created a Young Heros Award that rewards children who are heroic in their communities with a monetary prize for their achievements. He’s an environmental activist and is on the board of many corporations and charities. He lives in Boulder, Colorado, with his wife, five children, two dogs and two goats. Christopher Paolini reads from Brisingr. Christopher Paolini will be HERE for his new book, Brisingr. The book goes on sale Saturday, Septemeber 20th. When you buy a copy of Brisingr here at BookPeople you will be receiving a ticket for the signing line. The line will be limited to 1500 people so buy your books early! You must purchase your copy of Brisingr at BookPeople in order to have your books signed by Mr. Paolini. He will personalize 2 books maximum, one of which must be a copy of Brisingr purchased from BookPeople. Christopher Paolini signs Brisingr (Inheritance, Book 3). A special event to celebrate the release of Christopher Paolini's latest in the Inheritance Cycle, Brisingr. Tickets available NOW! Purchase a copy of Brisingr and a $5.00 signing ticket for the event. The event starts at 6:00 p.m. Wednesday October 1st. Doors open at 5:00pm. There will be presentation by author Christopher Paolini followed by a question and answer session. Following which the film Eragon will be shown while the signing takes place. Feel free to come dressed as your favorite character. With every paid admission you may bring one additional book from home or purchase and additional. Christopher Paolini will personalize your copy of Brisingr and autograph your second book. Join us for an exciting morning to celebrate the 3rd Brisingr book! Free Food, Games and Drawings! Christopher Paolini is currently considered a "single author." If one or more works are by a distinct, homonymous authors, go ahead and split the author. 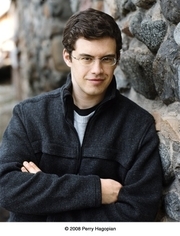 Christopher Paolini is composed of 23 names. You can examine and separate out names.